Gurdaspur Lok Sabha by-polls won by Indian National Congress leader Sunil Jhakar with 1.93 lakh votes. Congress marks a massive victory in Gurdaspur today. The counting process for the votes that polled in the 11 October has begun today, Sunday. 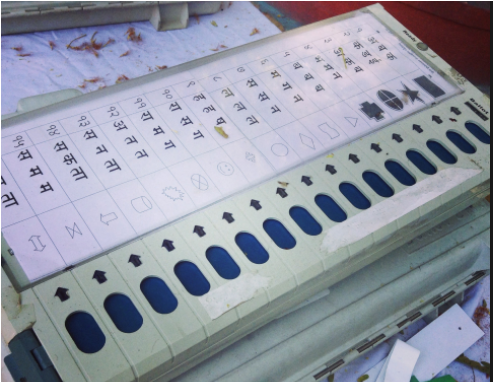 This by poll elections witnessing the race among three major parties such as the BJP, the Congress and the AAP. The counting of votes began at 8 am today at the two counting centres that have been set up just for the counting of votes. As per the reports, the counting centre for the six assembly constituencies of Gurdaspur district, set up at Sukhjindra College Gurdaspur and the counting centre for the three assembly constituencies of Pathankot district set up at the SD College in Pathankot. According to the sources, the officials have arranged tight security at the counting centres. 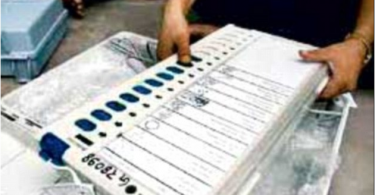 The by-poll election of Gurdaspur Lok Sabha seat comprised of nine assembly segments such as Pathankot, Gurdaspur, Bhoa, Dinanagar, Fathegarh Churian, Sujanpur, Batala, Dera Baba Nanak and Qadian. However, the results for the Gurdaspur by-polls to be declared today by the afternoon. The main candidates of the party who stood against each other for the Gurdaspur by-poll election are Swarn Salaria from Bharatiya Janata Party, Sunil Kumar Jakhar from Congress and Major General Suresh Kumar Khajuria from Aam Admi Party. The Gurdaspur by-polls was conducted on 11th October where around 56 percent of the 15.22 lakh registered. 2:38 pm: Congress congratulating their workers for the massive victory of Gurdaspur by-polls election today. Congratulations to @sunilkjakhar and @INCPunjab workers for their win in #GurdaspurByPoll. 12:57 pm: Indian Nation Congress leader Sunil Jhakar won by 1.93 lakh massive votes in Gurdaspur. 12:35 pm: Congress leader Sunil Jhakar leads by 1,69,640 votes.
. Congress candidate #SunilJakhar leads by 1,69,640 votes in #Gurdaspur by polls. #SunilJakhar is PCC Punjab..
12:28 pm: Captain Amarinder Singh tweeted that Gurdaspur by-election marks another major step in the revival of Congress. It’s clear that party is on upswing ahead of 2019 Lok Sabha election. 11:50 am: Sukhpal Singh Khaira AAP party leader tweeted about the Congress failure during SAD. Heading for a massive victory in #Gurdaspur, @INCPunjab President Sunil Jakhar now leading by 94,161 votes. Huge! 10: 40 am: The second round of the counting is begun now. And the Congress leader Sunil Jhakar is leading by 94,161 votes. 9:58 am: Congress extends lead now ahead by 42718 votes. 9:17 am: BJP has a stronghold on the Gurdaspur Lok Sabha seat. As a Vinod Khanna, the Actor-turned-politician had remained four-time MP from Gurdaspur Lok Sabha seat. 9:15 am: The main opposition party AAP in Punjab has 20 seats in the House. 9:11 am: The Congress candidate Sunil Jhakhar ahead by 12000 votes.